Its getting harder and harder, says Jamie Reynolds, managing director at PMP, whose logistics recruitment business turns over nearly £300m a year thanks to a client list that includes many big-name retailers and distributors in the UK. 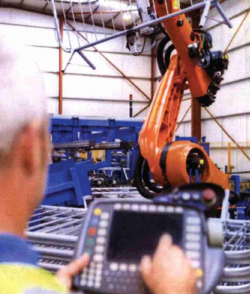 “Anyone who can handle a forklift, or machinery, anyone with robotic skills are all difficult to find- but even simple picking-and-packing is an issue in an competitive region”. The list of competitor of regions – Milton Keynes and Manchester come out on top – is growing fast, and for warehouse operations, the consequence is higher labour costs. “Wage rates are peaking at 10-15% and above base rates, and operators are offering all kinds of incentives, too. Regular overtime, seasonable loyalty payments, cash for finding a friend to join the workforce, help with transport – it all helps” says Reynolds. In Bristol – where a surge in logistics deal-making threatens to put massive strains on the local labour market – wages are already nudging up by 15-20p an hour. Something similar is rumoured in Dunstable where Amazon’s new 310,000 sq ft facility is competing with next door neighbour Superdrug’s 536,000 sq ft warehouse. Prologis is landlord at both units. it isn’t news that the warehouse sector is obsessed with labour force issues. But what is new is the extent to which it is beginning to drive locational decisions – and the way developers are using labour demographics to redraw their maps. You can trace the roots of the change to 2011. That was the year Amazon decided to take 955,000 sq ft in Dunfermline and eyebrows were raised. Given the size of the Scottish market (small), it seemed an unusual place to put a large (and, at the time, its largest) warehouse. Unemployment in the Fife town is relatively high (hovering around 7% for much of the last six years) and Dunfermline is close to neighbourhoods where the unemployment rate is considerably higher. Wages are correspondingly low – and Amazon is the areas dominant employer, giving it the upper hand. Amazon preferred not tot talk about the labour force issues that dictated the location of the 8.5m sq ft of new floorspace it took in 2016 (Gerald Eve figures). Recruitment consultants proved equally shy. But the consensus is that Amazon – and every other supply chain occupier – is looking more deeply at demographics than it ever has before. Now labour issues are starting to influence developments. According to the experts, this in turn means that developers need to re-draw their locational heat maps. Yes, their maps need to show motorway junctions. But they also need to show key labour market hotspots (see side panel, next page). Savills advises Wincanton, one of the largest of the third-party distributors. According to Savills director Toby Green, labour issues are now alongside location as a key consideration. This is particularly true in markets with constrained labour markets, like the East Midlands. It could also be true in parts of the North, says CBRE’s senior industrial director in Leeds, Mike Baugh. He points to Debenhams’ decision to take 677,000 sq ft at Sherburn in Elmet (Regarded by some as a bit off the track, “he says), as an example of a locational decision heavily influenced by labour force factors. So a revolution in supply-chain thinking that puts labour at the top of the the locational matrix? Baugh thinks not. The difficulty is that developers – and their occupier tenants – are looking for a chimera. Richard Laming, head of economics at planning consultant Turley, explains: “The ideal location is lowish wages, highish skills, lowish employment, highish housing availability, in a travel-to-work area with some big additional sources of labour on its borders. And of course, such places do not exist. Laming says that a careful reading of the data makes some locations – like the North West – considerably more appealing as UK distribution hubs than a glance at a map of the UK might suggest. Gwyn Stubbins, planning director at Gazeley, is happy to cheer this point. The developer of Magna Park, Lutterworth, is expected to host a new 40,00 sq ft Logistics Institute of Technology to train the next generation of workers in logistics and distribution. It is part of a 4.5m sq ft expansion plan due to go before planners this summer. “Labour issues are massive considerations for our customers, but it’s not just quantity – it’s the quality of labour, and how far afield you need to stretch the catchment. For our customers, it’s about the quality of labour and how it fits their operations,” he says. Gazeley provides potential tenants with an analysis of Magna Park’s catchment, skills base and much else. “These days you need demonstrate the labour is there. It’s all gone way beyond traditional assessments of property locations,” he says. Too true, says Cushman & Wakefields Birmingham-based logistics director Simon Lloyd, and there are complications a wise developer will not ignore. Lloyds’ conclusion echoes that of Turley’s Laming: that labour supply issues are really cost issues wearing a hi-vis jacket. The UK’s 228 travel-t-work areas provide the data warehouse occupiers study most closely. And it’s easy to make mistakes understanding the data. But recruiters – and developers – need to look beyond a TWA’s boundaries to understand how the labour market works, says Richard Laming, head of economics at Turley.